I flew a couple of missions in the Coral Sea campaign! Its really a beautiful ship! Thanks again, ashe! Not sure of the fix? 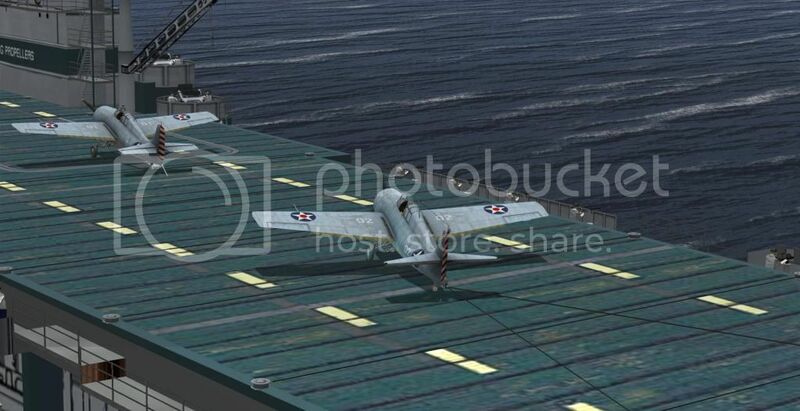 Its just telling you that the game cannot locate the USS Hornet mesh files --- because you've not installed them. It will not cause any problems in your game. 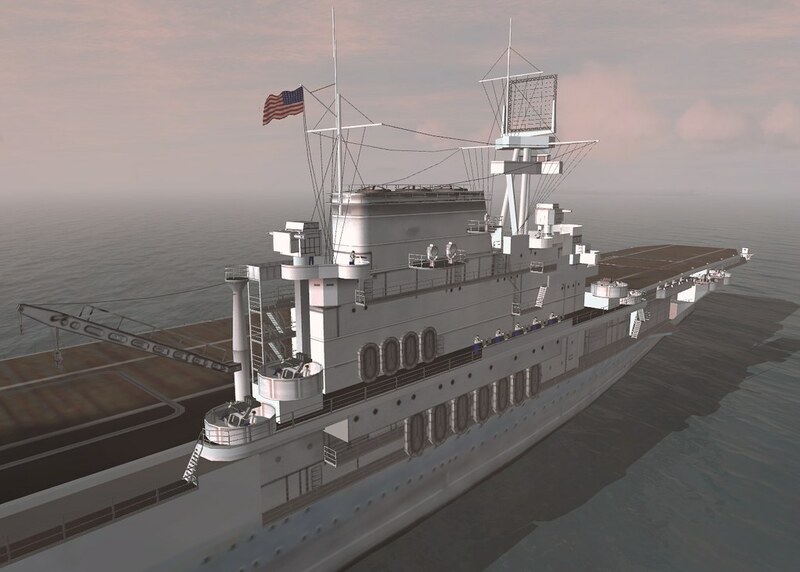 USS Hornet class files were included with the Yorktown download but it will remain as a vacant ship slot until it is used. I put a little higher resolution forum Blue deck her (which from all the info Ive gleaned off the net she had at the time of the Midway battle) and she looks stunning. this is neat! Do you think you can please post the link to this texture? If asheshouse doesn't mind,I will wait for him to reply though. Thanks for the info and the class files, asheshouse. I have a book or two about the big E that have camo schemes and layouts for various time frames; now all I need is the time to make a skin. No problem - I'll stand by and check this thread from time to time...thanks! That looks good. 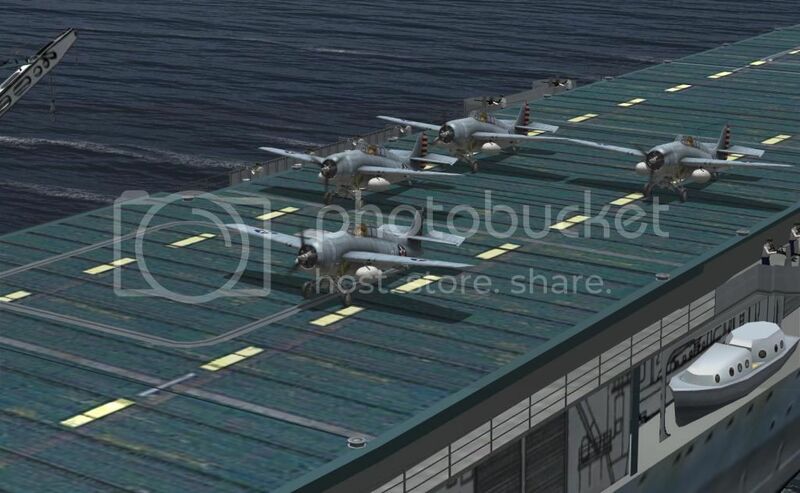 Maybe add some weathering/wheel marks in the area where the aircraft touch down and perhaps some darkening of the area at the base of the bridge structures. Deck edging probably needs to stay unchanged though. I used that colour patch for a lot of other minor areas, which probably look wrong with a blue tint. If you post a link I will copy it to the first post. I see that I've got the wrong material ID on the face of the step on the perimeter walkway. Whoops! Instructions on how to clone the ships has been added to the first post. If any of this is unclear or considered to be a "PITA" then say so. Any suggestions will be considered. Spookie -- There are some great looking camo schemes for the late war Enterprise but IMO this model is really not right for a late war version, due to the major changes made in 1943 to bridge and armament. I think that any work should concentrate on the early war appearance. I will probably do some 3D work later to model the correct 1942 gun arrangement but I expect I will then be able to work with any skin produced for this model. Thanks asheshouse...you are master artiest! - make damage model of radar and antennas on bridge more fragile, now after run down with plane don´t have effect. - add two sided material on bridge interior places per lod0 suffice. In detail is possible looking via walls.